In the United States, transportation is a vital part of our everyday lives. In cities big and small, if you don’t have a car, life is practically over. But when it comes to areas of the world where people live in super-crowded conditions and don’t always have access to vehicles, you just have to make do. Here’s how people roll in various spots throughout Asia. 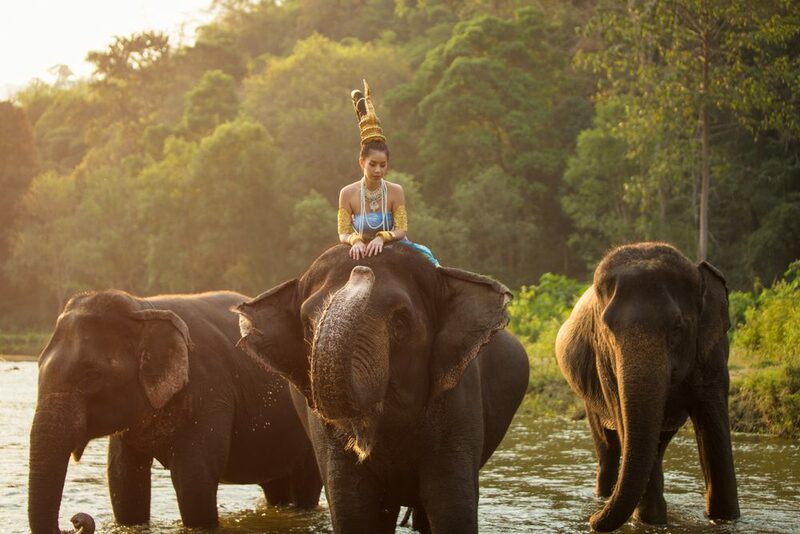 Elephant riding is perhaps one of the biggest attractions for tourists in Thailand, and is definitely a must-try. For more modern forms of getting around, try a Tuk-Tuk. They are three-wheeled, covered scooter-like taxis that hold 1-2 passengers. The fastest way to avoid vehicle traffic in Vietnam is to board a Cyclo. 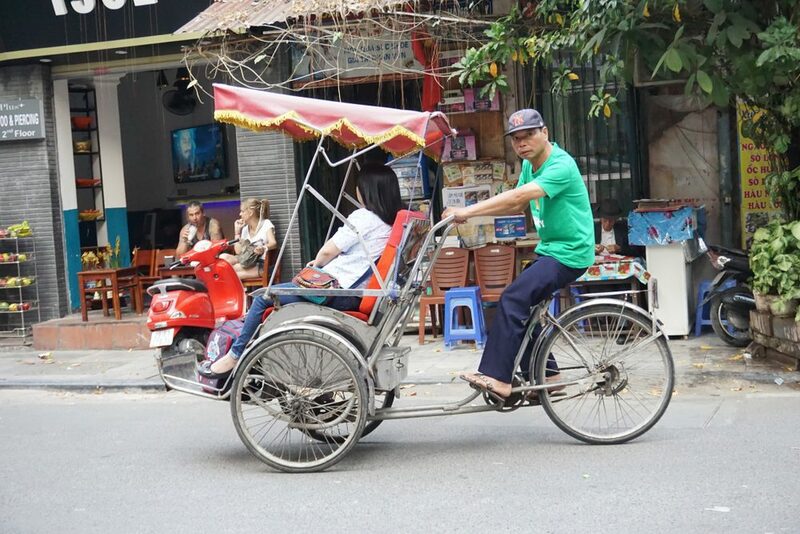 They’re three-wheeled tricycles with a seat in front of the front wheels where passengers sit, and the cyclo driver pedals from behind. They’re banned in some areas because they can be seen as traffic hazards. Hong Kong is one of the most crowded, expensive places in the world to live and to get around in. If you’re tired of fighting the crowds on foot, by bike, or by car, hop on a junk boat to tour Victoria Harbour and view the city from the serene waters day or night. Japan has always been a land of contradictions where old meets new. 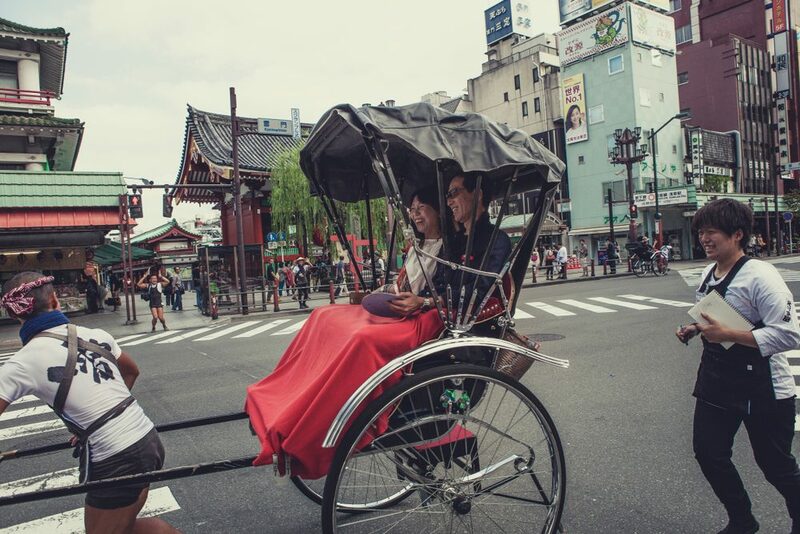 Rickshaws have been used for transport in Japan starting in the late 1800s. They consisted of a single seat on two large two wheels with attached long handles in front that would be carried by a “driver” on foot. On the other end of the spectrum is the “Shinkansen” or bullet train. Japan’s bullet trains give Swiss trains a run for their money in terms of speed and timeliness. If you really want to get old school, hop on a Carabao (also known as a water buffalo)! Nowadays they’re not a major form of transportation – they’re mostly seen on farms – but if you do a bit of research, you’ll find companies that can get you on top of one of these beasts. 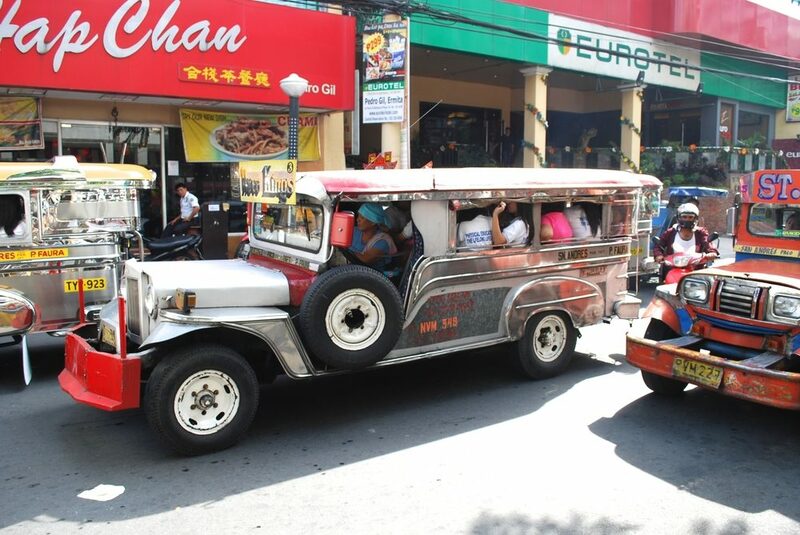 For motorized transport, “Jeepneys” are popular all over the islands. They originated in WWII when American Jeeps were widely used in the area. Locals “stretched” the standard 2-seater vehicle into versions that could carry 4-8 people, and they’re easily identified by their colorful paint jobs and retro decorations. Remember when you used to see clips of silent movies where two hobos would stand on a wooden platform that sat on wheels and move along the train tracks by pumping a lever back and forth? Bamboo trains are very similar. They’re constructed with a steel frame that’s topped with bamboo slats which rest on abandoned tank wheels. Used until the early 2000s, these trains are being rebuilt for the tourist trade. When you think about it, Americans have it pretty easy compared to commuters and travelers in other parts of the world. Keep that in mind when you’re stuck in traffic!